Citizenship in the United States confers a number of benefits on those who qualify as such distinguished residents of the country, such as the ability to run for public office, the ability to participate in voting in elections for public office, and the capacity to bring foreign family members and spouses over as legal immigrants. However, it is not as if citizenship comes with a permanent stamp to one's forehead that allows anyone to see it and know he or she is a lawful citizen. Instead, the proof must be in the writing, or rather, the legal documentation. 3. The naturalization test/replacing documentation – To obtain a naturalization certificate, a final round of testing must be passed. The requirements are usually fairly minimal, however. To meet English standards, an applicant must usually be able to read and write one of three given sentences in English, pass the spoken interview completed with the submission of the naturalization application, and correctly answer six out of ten Civics questions. The process is certified completed upon a swearing of allegiance to the country, the oath of citizenship. 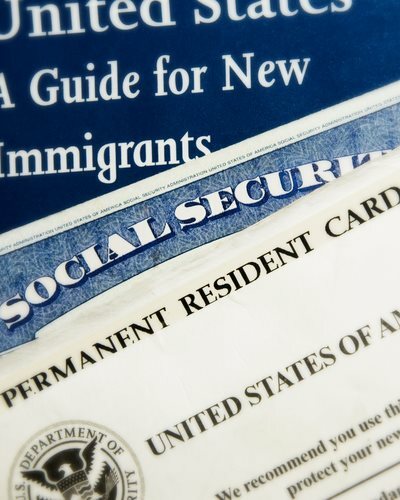 In case the naturalization certificate is misplaced or otherwise indisposed, fees and Form N-565 for a replacement of the certificate must be submitted to Citizenship and Immigration officials.